While it might sound dreamy to some, it looks like Halo Infinite will not come packing a battle-royale mode, or the very least, 343 Industries doesn't have it on its mind at the moment. Speaking during a recent 343 Industries-hosted Mixer stream, leads Jeff Easterling and James Bachici were at one point asked about a battle-royale mode in the upcoming Halo game, a quesiton they've likely been getting pounded by since the game was announced earlier this year. To this, Easterling replied: "I'll tell you right now, the only BR we're really interested in is Battle Rifle." For those that don't know: Battle Rifle is one of the more iconic weapons in the series. As you may know, this isn't the first time 343 Industries has played down a battle-royale mode in Halo Infinite. Earlier this year, the aforementioned Easterling essentially confirmed no such mode would be added into the game, nor any other trends other parts of the industry might currently be chasing. 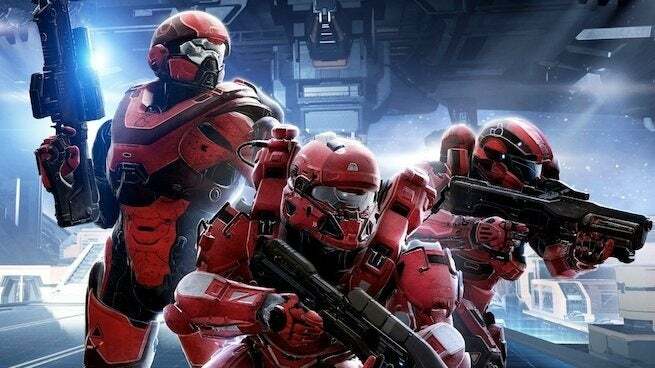 However, game development is constantly changing, and with the surging popularity in battle-royale modes, it wouldn't be very surprising if Halo Infinite dabbled in it, or something similar. But from the sound of it, it still isn't planning on it. While I personally appreciate a good battle-royale mode, I'm far from a fan of injecting it into every game just for the heck of it. That said, if there is one IP I'd love to see tackle the mode, it's Halo. But from the sounds of it, I shouldn't cross my fingers too hard. Halo Infinite is in development for Xbox One and PC, and is currently without a release date or a release window. It's possible the game will come next year, but it appears to be 2020-bound or beyond, which may just mean it's a cross-gen release. Microsoft has been very quiet on the project so far, and thus details are pretty scarce. We should be hearing more about it soon though, probably during E3 2019. For more news and coverage on the highly-anticipated first-person shooter, be sure to check out our previous coverage of the game by clicking here.